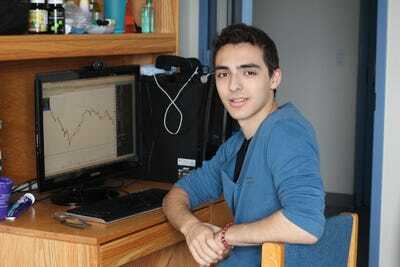 Julian Marchese was 9 years old when he made his first trade. In high school, he cut school on Fed Days. When the Canadian finance wunderkind was just a teenager, he developed a quantitative, long-short equity strategy that runs on an automated basis on his computer. 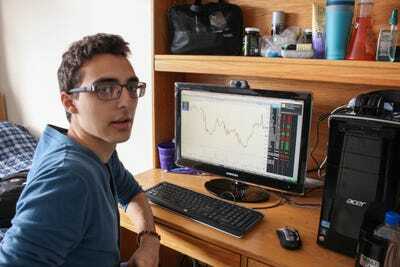 Investing his parents’ money, he saw returns that would make any amateur day trader jealous. Now a freshman student at NYU’s Stern School of Business, Marchese and a partner at Yale are trying to launch a hedge fund out of their dorm rooms. Somehow, Marchese makes juggling school work with a social life and fledgling career as a hedge fund manager look like anyone could do it. 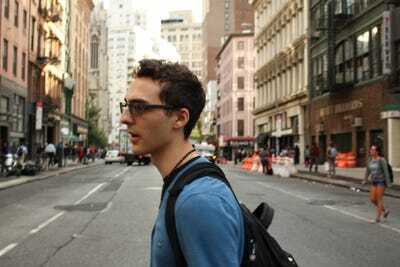 Julian Marchese, 18, lives in New York University's Founders Hall, home to 700 first-year students. His room on the 24th floor also serves as an interim office for Remora Capital, the nascent hedge fund he's founding with a partner at Yale. The venture capitalist 'Dragons' adored him, and four offered to invest $12,500 each in exchange for 50% ownership of Marchese's company. He took the deal, but -- being under 18 -- legal complications kept it from coming to fruition. 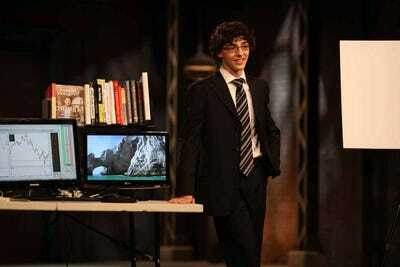 Now Marchese is ready to put his strategy in action, and with more than just his parents' money. But launching a hedge fund while balancing life as a college freshman can't be easy. We recently spent the day with Marchese to see how he does it. Marchese wakes up around 11. He was up late with friends, doing homework and eating pizza at Joe's in Greenwich Village. His first and only class of the day doesn't start until 3. 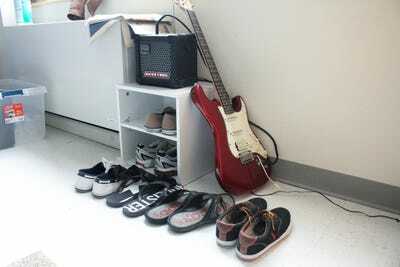 His dorm room, near Union Square, offers majestic views of the Freedom Tower and the Financial District. The first thing he does in the morning is hop on his computer. He checks Tweetdeck to learn what the financial experts and journalists are saying, and reads Brett Steenbarger's TraderFeed blog. 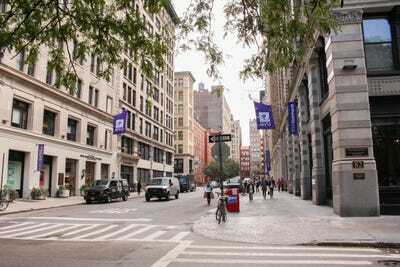 He then walks the 15 minutes from his dorm to NYU, where Marchese plans to major in finance and statistics at the Stern School of Business (but is currently filling core requirements). 'If you want to work in business or finance, there's really no better place to be than New York City,' Marchese says. 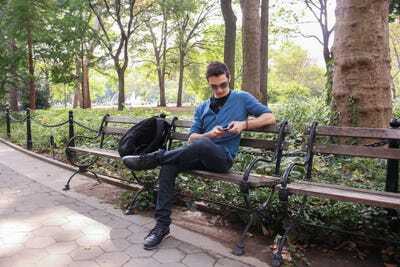 With a few spare moments before his first meeting of the day, Marchese sits in Washington Square Park and whips out his iPhone. 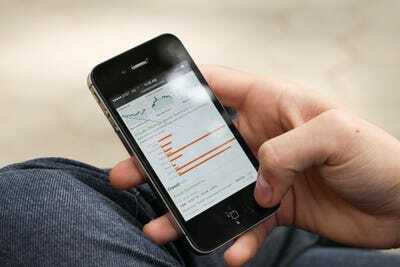 As a full-time student, keeping up with the markets before the closing bell means being addicted to your phone. 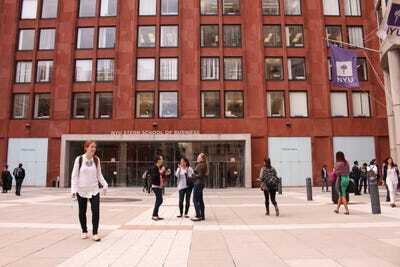 At 12:20, he heads to the Stern School of Business, where the Quantitative Finance Society is about to meet. The club's upperclassmen leadership team teaches teaches a new financial topic each week, covering basic trading, portfolio management, investment analysis, and macroeconomics over the course of the year. For Marchese, the challenge is not keeping his ego in check, but getting other people to take him seriously. His first struggle came at age 9, when he unsuccessfully tried to convince his parents to buy shares in a uranium company. The stock tripled in the next month, and they began to listen. At an early age (when his father worked in a lightbulb factory and mother sold cosmetics), Marchese read the bestseller 'Rich Dad Poor Dad.' 'I realised my parents were in the so-called rat race,' he once said to the 'Dragon's Den' judges. 'It was my goal from about 8 years old to someday take them out of the rat-race and into financial freedom.' 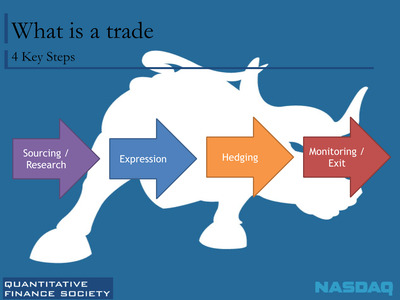 Markets presented the answer. Julian Marchese stands with one of his role models, motivational speaker Tony Robbins, and parents Marcello and Jacqueline during a family trip to Los Angeles. 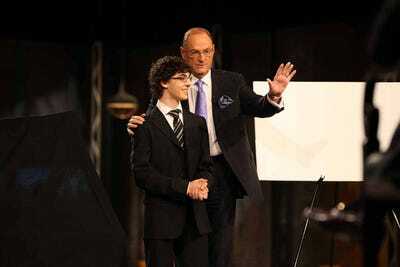 Canadian entrepreneur and 'Dragon's Den' judge Jim Treliving ushers Julian Marchese off stage to make a deal. While Marchese's biggest challenge now is securing interest in Remora, he's still a normal 18-year-old guy. He heads to the dining hall with one of his suite-mates, Nate, and they jokingly rap 'Let the DOW drop' to a dubstep beat. Like any college freshman, he eats an inordinate amount of food. The NYU food court's Chick-fil-A is his go-to. 'I have the metabolism of a race horse,' he says. When students go on for five minutes asking the professor what exactly they need to study ('Will delta epsilon stuff be on the midterm?' 'Do we need to know proofs? 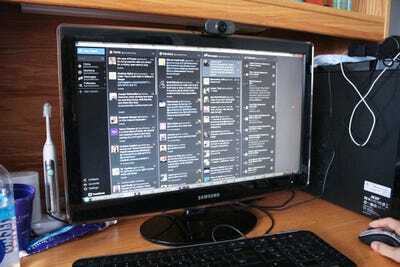 '), Marchese finally raises his hand and suggests she posts a list of items to review. He's not one to waste time. 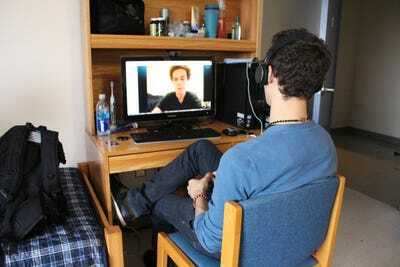 Then it's back to the dorm for a meeting over Skype with the co-founder of Remora Capital, John-Paul Pigeon, a sophomore at Yale. While Remora hasn't taken funds from investors yet, Marchese and Pigeon are testing Marchese's automated investment strategy in real time using real market data, meeting with mentors, and speaking to lawyers. The immediate goal is to prove the strategy in a small initial stage with one investor, and then scale up once they have proven live money returns. The Skype session goes on for about a half an hour while his friends do homework and goof off in the background. And in the time Marchese was in meetings, class, and the dining hall, the S&P dropped 30 points and his automated program picked up 16 new positions. 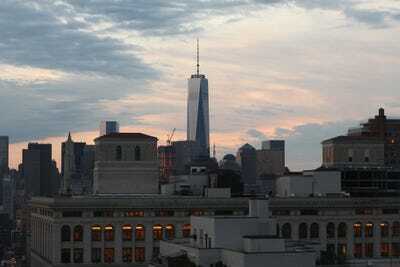 Out his window, the sun sets to the west of the Freedom Tower. It's just another day at the office. 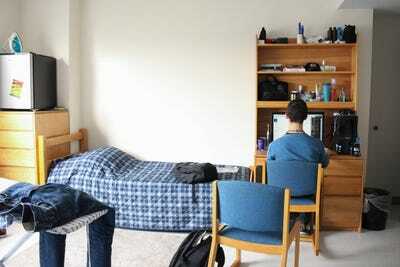 Now check out the best boarding school in the country.